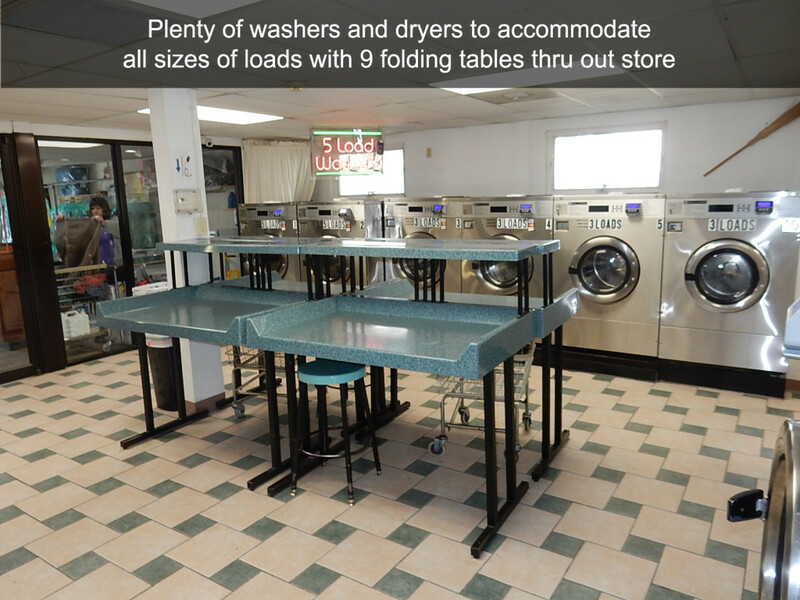 Our self-service laundromat is staffed 12 hours a day/every day, to give you assistance if you need it while keeping the store clean, friendly and operating. 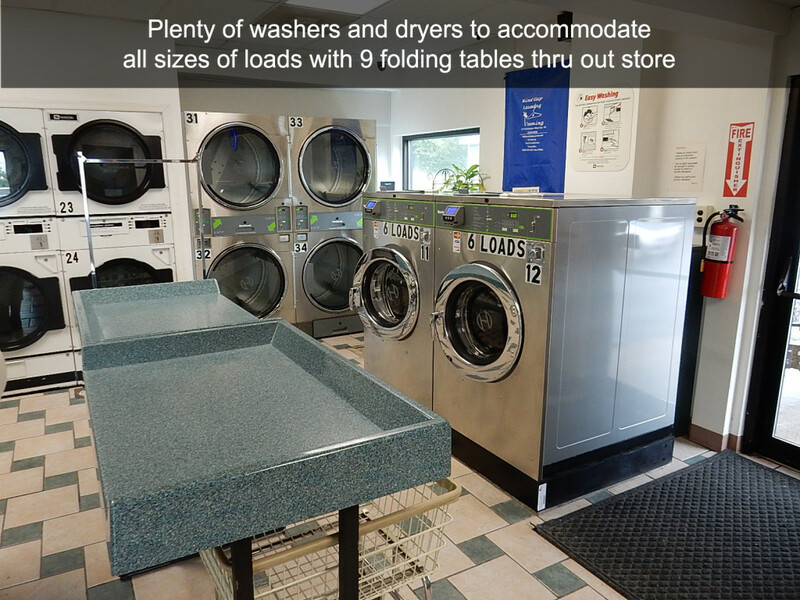 We have a variety of size Washers and Dryers to service small and large loads of laundry, comforters, blankets or sleeping bags. 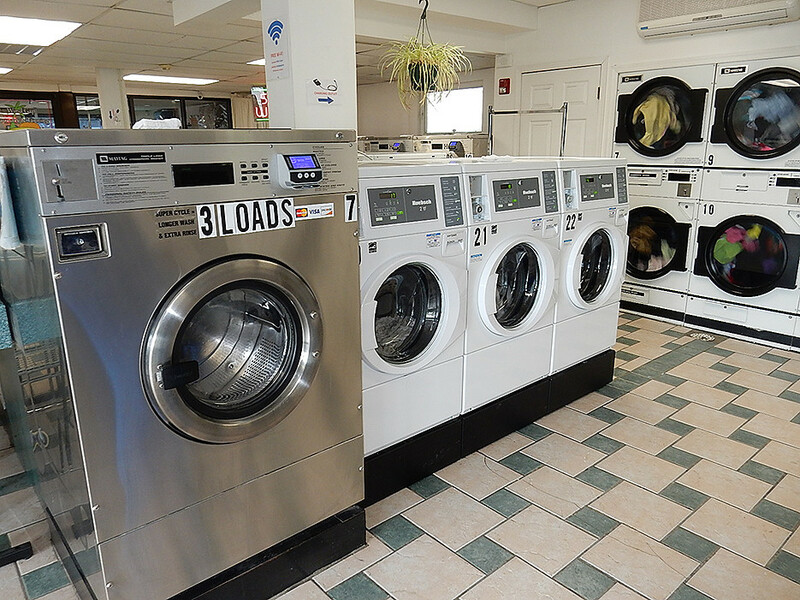 Our 12 largest washers also have the ability to accept credit cards right at the machine for your convenience. 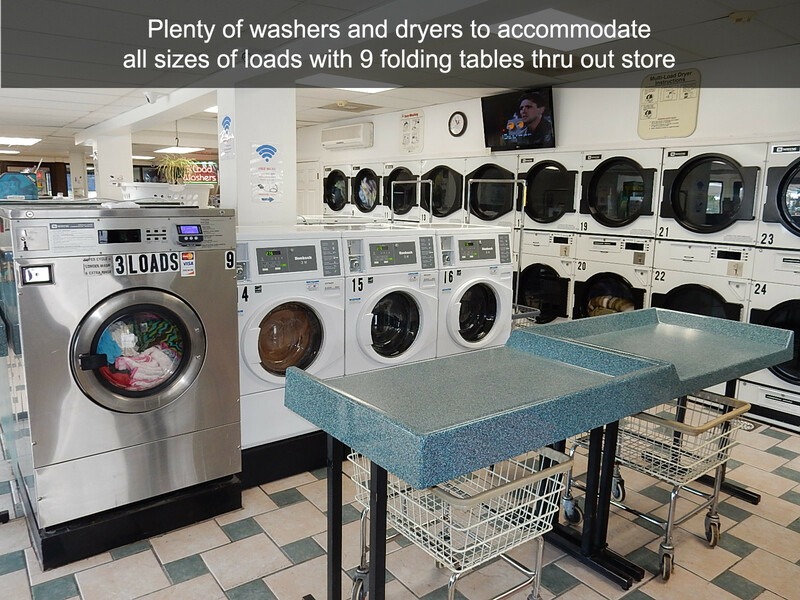 We also supply ample room for folding and you can enjoy Free Wi-Fi and charging stations for your cell phones or computers. 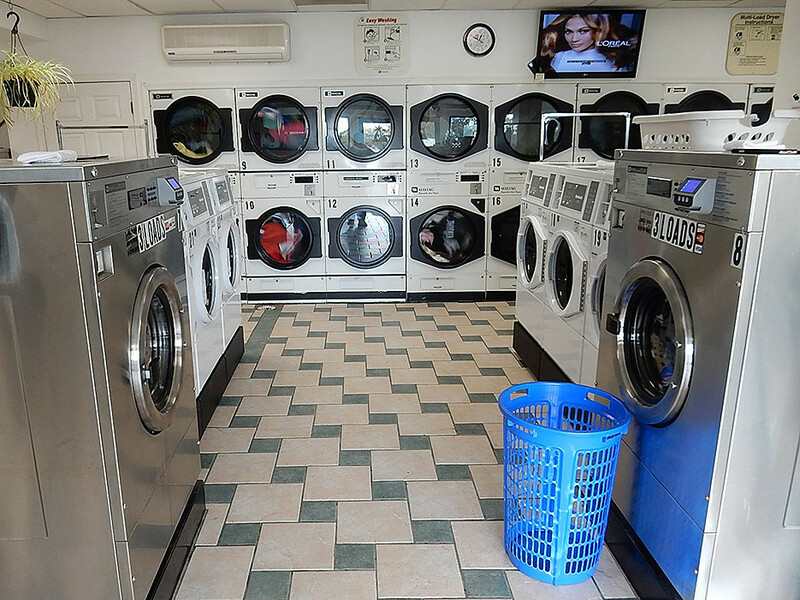 Plenty of change machines with one that breaks large bills into smaller bills/change for your convenience. Snacks and drinks are available as well as a lounge area to watch TV or entertain the children. 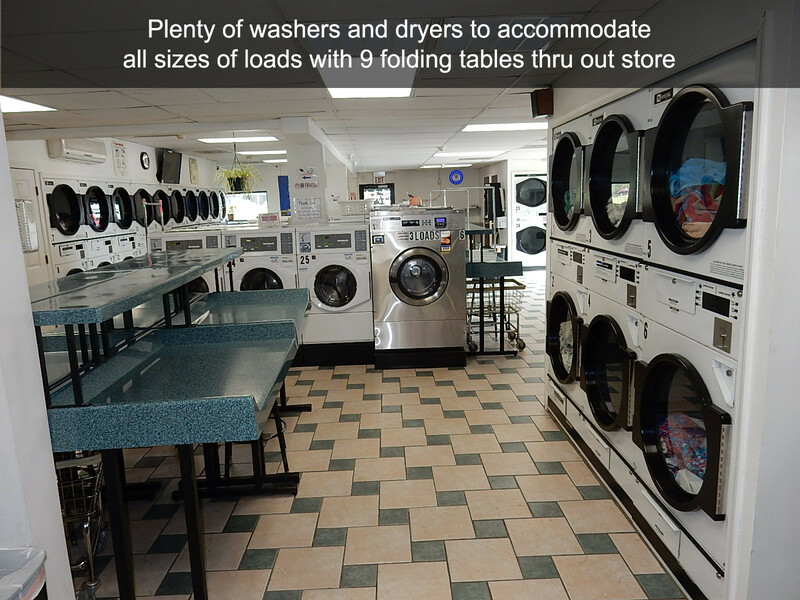 Plenty of on-site parking with ample room for RV parking.